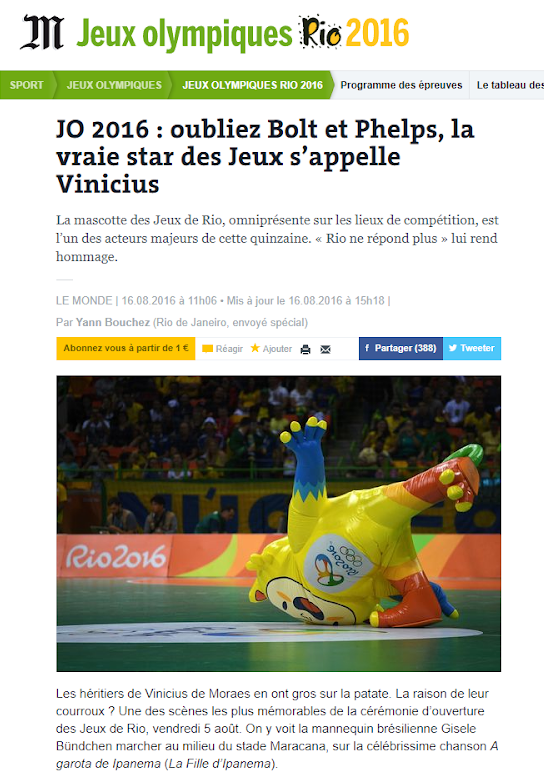 Vinicius is the mix of all Brazilian fauna and has the amazing power to stretch himself to Olympic proportions. Tom is the mix of Brazilian fauna and can produce any object from inside his leafy hairdo. 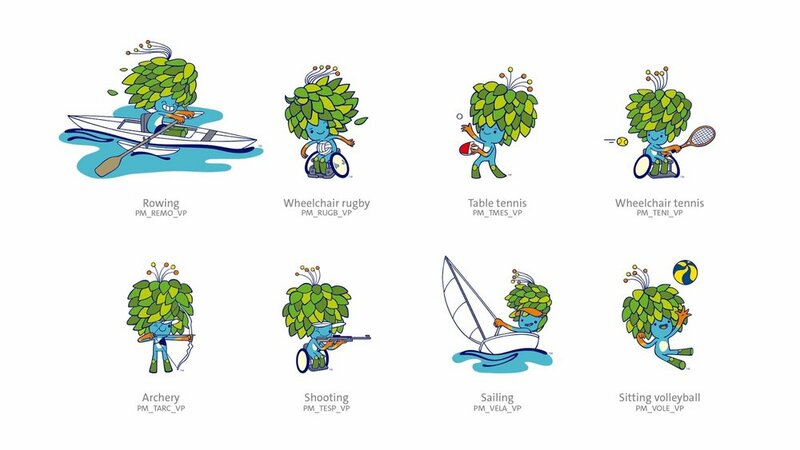 Their mission is to spread the Olympic and Paralympic values while breaking all the records of fun. 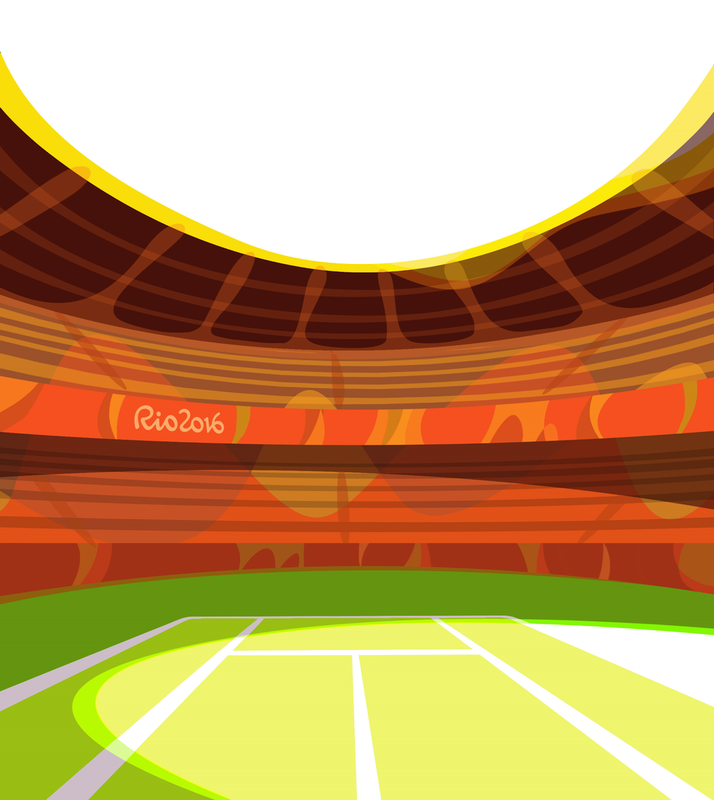 For the Rio2016 Mascots, sports are all about having a great time and they will find a way to transform everything into a sport competition, from cooking dinner to dancing samba. 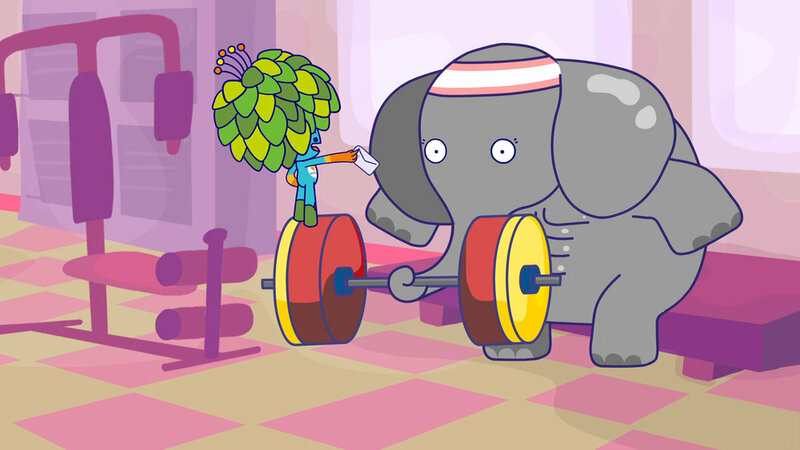 Funny By Nature was the #1 most watched show on Cartoon Network Brazil in 2016 and helped make Vinicius and Tom the greatest record breakers of the Olympic and Paralympic Games, generating triple the licensing revenues of London 2012 and double of Beijing 2008. 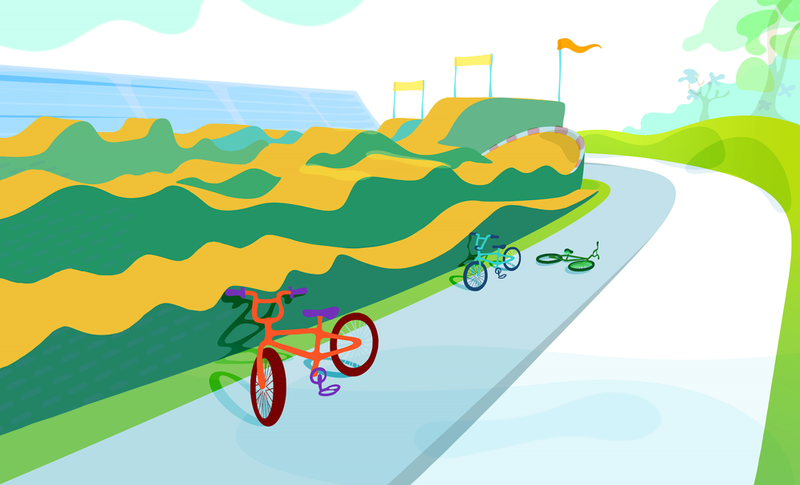 And we had to make sure that every Olympic and Paralympic sport would be featured at least once on the series! 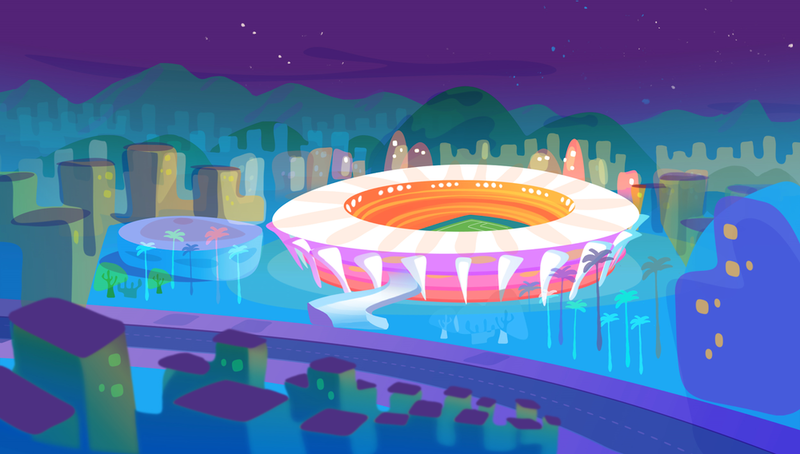 We also had to include every Olympic and Paralympic Venue throughout the episodes as well as landmarks of every city in Brazil where the games would be hosted. Finally, we had a couple of special themed episodes, such as the Olympic Torch, the Podium, the Opening Ceremony and the Olympic Village ones. 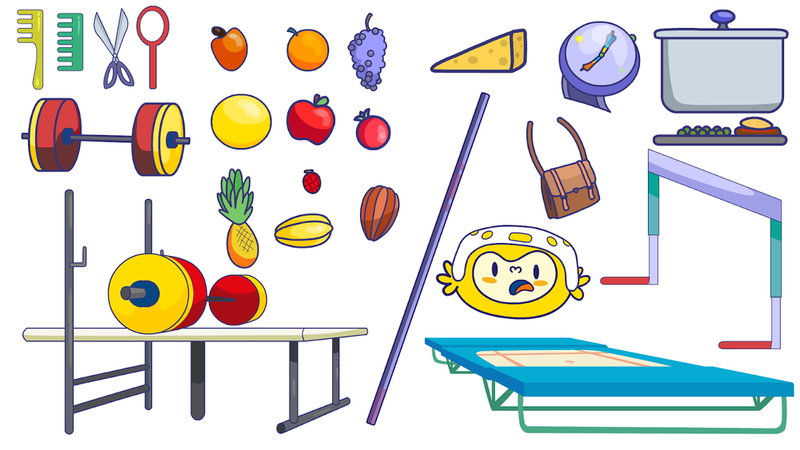 Special attention had to be given to props such as sports equipments and uniforms, since they had to be exactly the same as the ones used on the games! 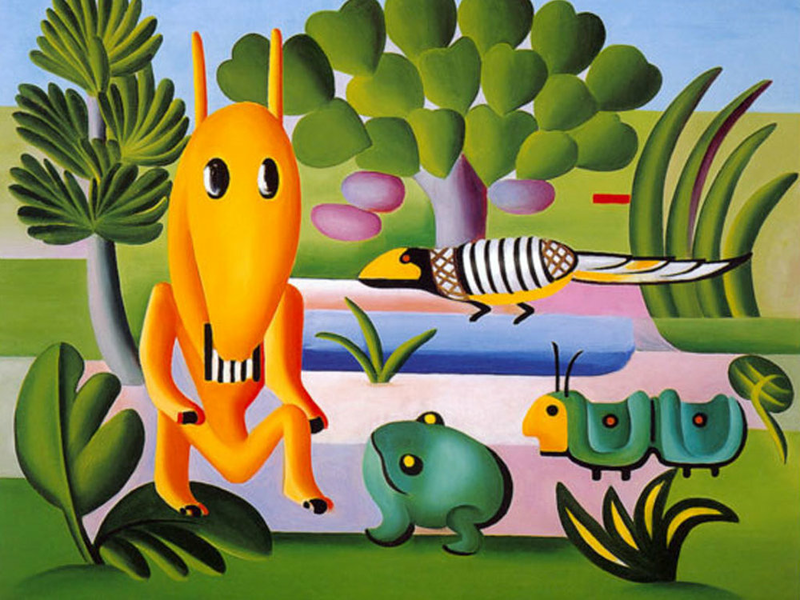 We translated this visual into something we could use for animation by mixing it with influences from other famous Brazilian artists from the 20s, such as Tarsila do Amaral and Candido Portinari. Before the series production, we had the chance to animate a launch film to unveil the Mascots and we used it as a testing ground for this concept. 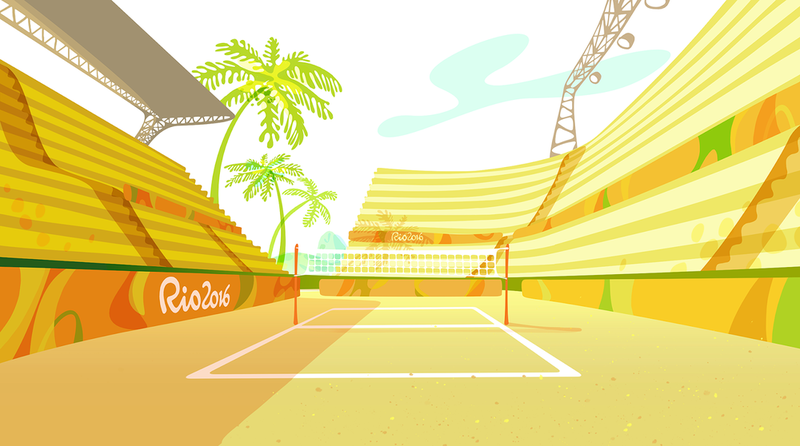 We further developed this style for the series by adding a lot of transparency, use of negative shapes and a strong presence of white areas to create an original look that would stand out on TV and fit in naturally with other Rio2016 visual elements. 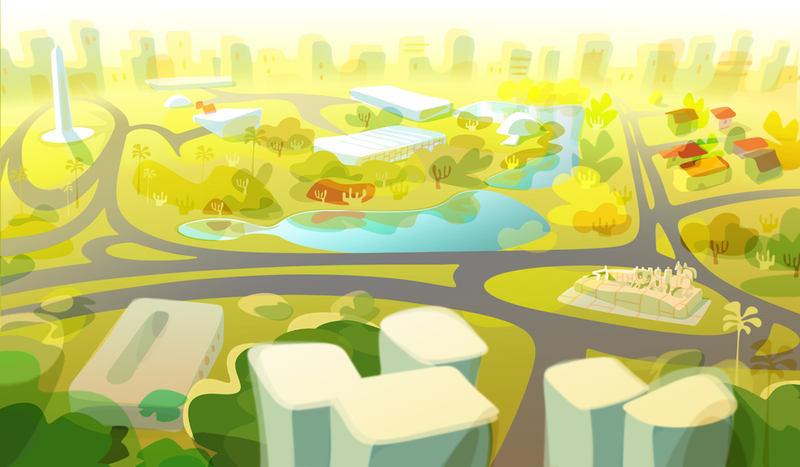 Innorganic shapes such as buildings or Olympic Arenas were a challenge to represent without the use of sharp corners and straight lines, but in the end the effort paid off with a cohesive and original art direction that was flexible enough to accomodate any landscape. 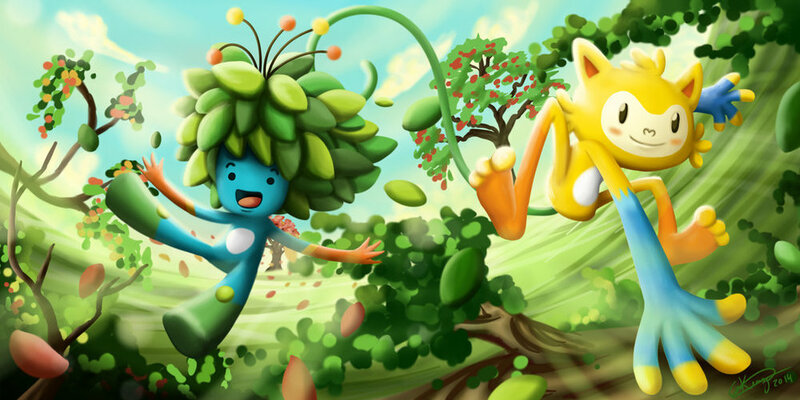 Very early in development we realized we would have quite a few challenges working with characters as important as Olympic and Paralympic Mascots. As personifications of noble values, Vinicius and Tom couldn't play pranks on each other, as good friends always do. We also had to avoid negative emotions and be careful not to oppose one to another. 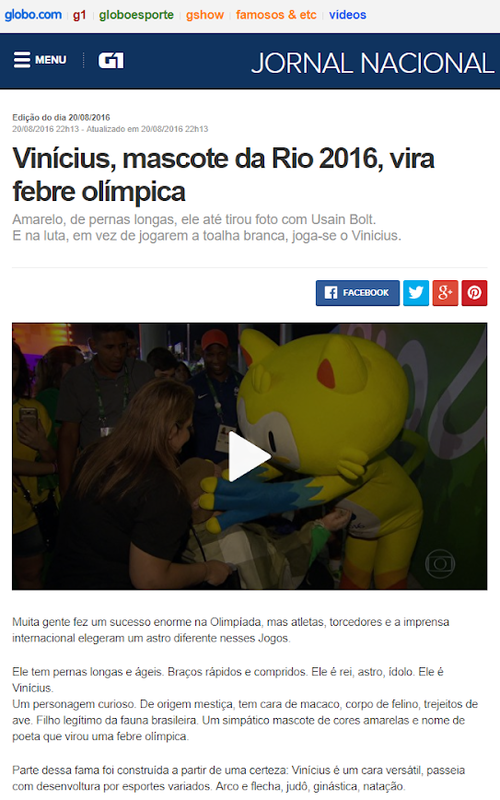 To make matters worse, they couldn't even play the same sports, since Vinicius could only play Olympic Sports and Tom Paralympic ones. How do you make a comedy series focused on sports when your characters can't win over each other and can't even play the same sports? 1. It's OK to mix up sports! 2. It's funny to compete over silly ideas and even better to collaborate to take them to extremes! 3. We need characters to do what the Mascots can't! 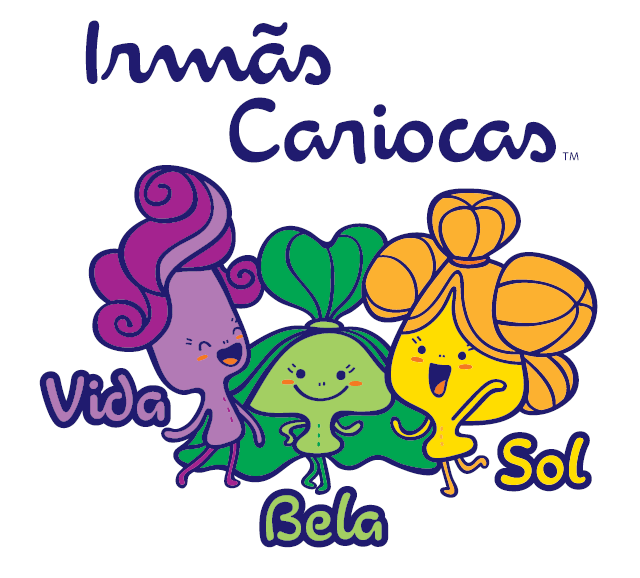 From this third solution the "Carioca Sisters" were born! Three super cute and confident girls who can act different roles over the episodes, from Mascots super-fans to fearless adversaries or simply the girls next door. Later in development we felt the need to add even more secondary characters to populate the world. 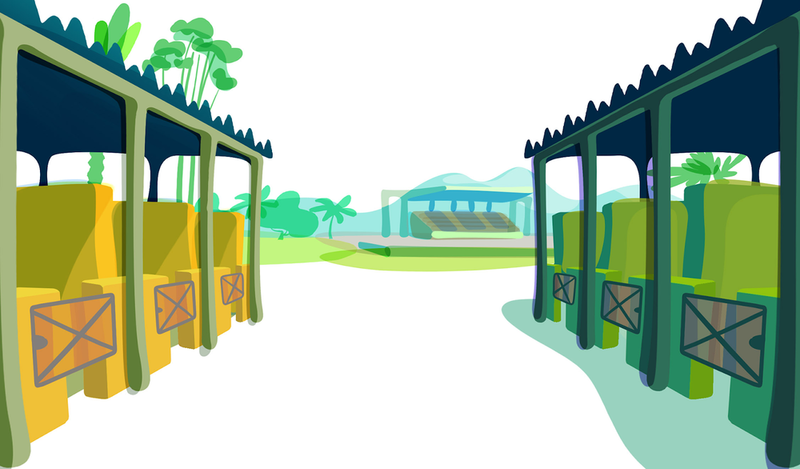 We chose to use animals from the brazilian fauna (except in the cases where they represented foreign athletes) and several of them were created over the episodes. From the start we wanted "Funny by Nature" to be a speechless series based on physical comedy, both attributes that make animation universally understood. For that we used the "board driven" approach, where visual gags were created by the storyboard artists on top of very simple storylines. On this sequence from episode 6, for example, the board artist interprets the script, which read "Vinicius and Tom are cooking a nice meal for their friends when they are caught accidentaly in a "hot potato" game... with a real hot potato!" Although characters wouldn't speak any words, they still had voices and reactions such as laughs, screams, grunts, etc. To make them sound unique we built these reactions based on typical brazilian interjections such as "oba, eba, oi, eita, ué, upa, olá" and many others. Music was primarily used to punctuate the actions with focus on comedy. 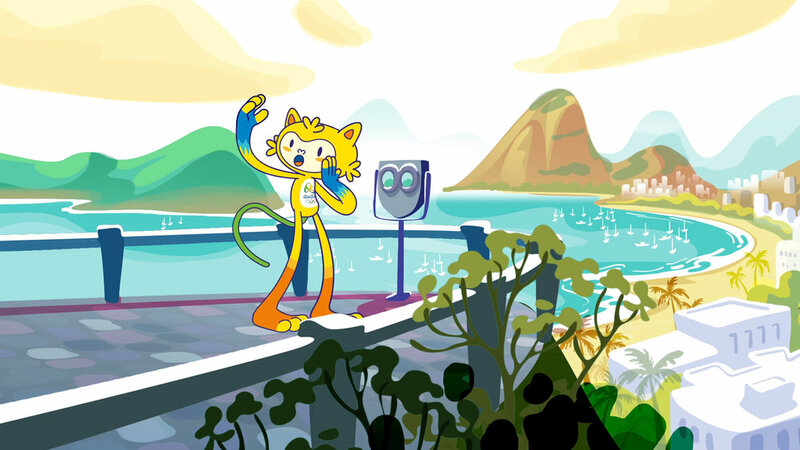 Like everything else, the Mascots' sound universe was inspired by the diversity of brazilian music styles. For everyone at Birdo the games were magical days and the extent of public response to our characters was something we have yet to experience again. or, as we like to say, it was like winning an Olympic Medal.